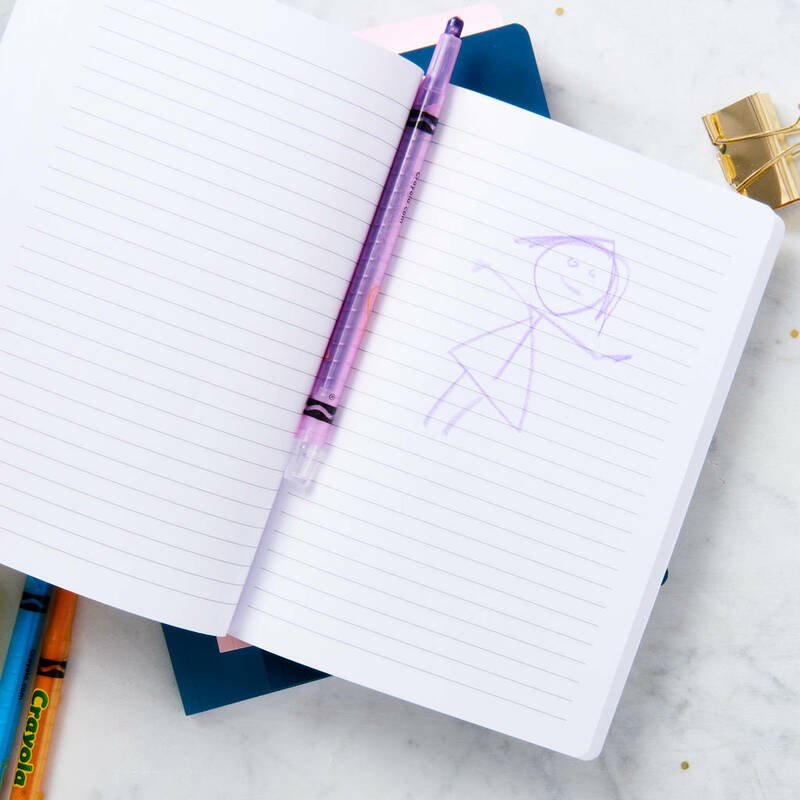 Create a beautiful masterpiece into your very own gold foil notebook using your little one's drawing. 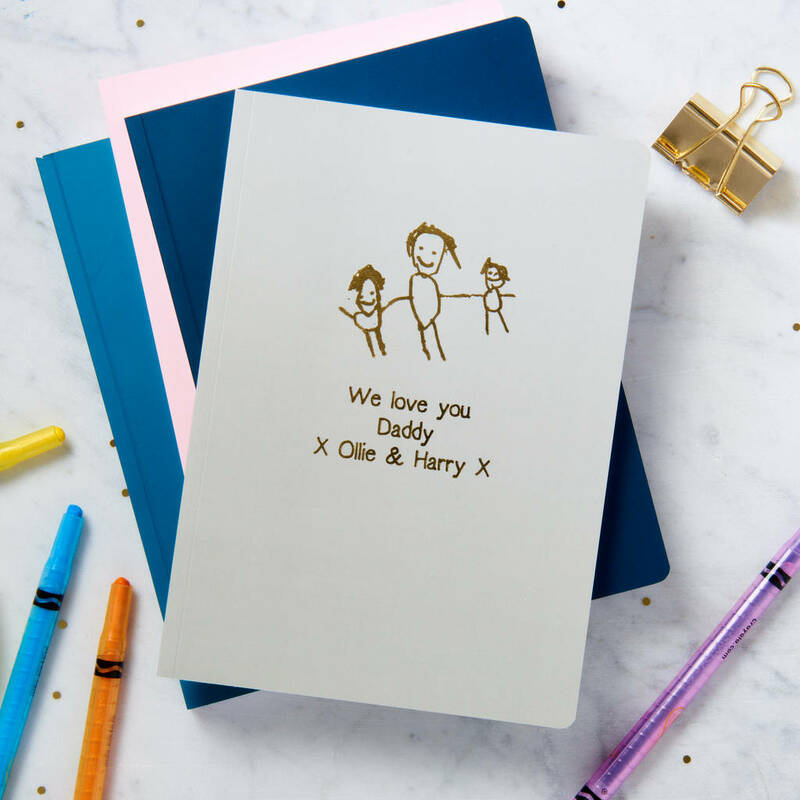 Make one of these lovely little notebooks completely unique to you by personalising it with a drawing by the little creative genius in your life. Just send us the artwork and we'll do the rest! Sized A5 they make the perfect gift for a birthday, mother's day or father's day. Choose from four different colour notebooks. Send a high resolution scanned image alongside your order. Please note that linear drawings work best, any drawings comprised of shading or gradual tones may not come out true to the original image. Best quality images will be drawn on white paper using a black pen. If you have any queries regarding drawing suitability please feel free to contact us. Approx 70 lined pages inside (140 sides).